Can you remember clear as day when you met the love of your life decades ago…but can’t recall what you ate for lunch yesterday? Does it drive you crazy when you can’t remember someone’s name you run into at church or the grocery store…or stumble over the right word to use during everyday conversations? And are you finding it almost impossible to stay focused on one task…keep track of your car keys or glasses…or juggle multiple things at once? Then you need to know about a stunning new medical discovery that reverses the most common cause of age-related memory loss—brain shrinkage—and quickly restores sharper recall and focus! If you think you’re “losing it”, you’re probably right. By losing it, I mean losing your sharp, youthful memory and crystal-clear focus. Maybe you used to feel like you could easily recall names, remember phone numbers or birthdays, or tackle anything new you wanted to learn. But now you may find yourself walking into a room wondering why you went in there in the first place. You may get stuck trying to think of a word you want to use in conversation. Or you may feel embarrassed when you can’t for the life of you remember someone’s name or have to wander the parking lot searching for your car. What if you could restore your memory and thinking to “young again” levels? If only you could feel as sharp and on top of things as you did when you were younger! The good news is, thanks to a Nobel Prize-winning discovery, it’s now possible to get back the fresh, youthful brain you had when you were 20. In a moment, I’m going to tell you more about this stunning new breakthrough. I’m convinced it can dramatically boost your memory and help keep your mind sharp for life. But first let me introduce myself. 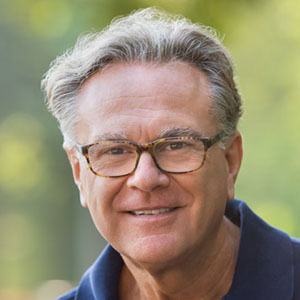 My name is Dr. Russ Canfield—and I’m a practicing M.D., board-certified in Family Medicine and Integrative Holistic Medicine. Over the years I’ve seen many tragic cases where a loved one’s mind slowly declines. All too often, family members are told there’s little that can be done to stop it. 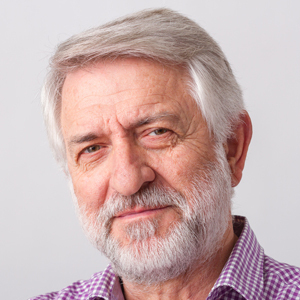 I’ve also had many healthy patients who, as they get up in years, become concerned about normal, age-related problems with their memory, alertness, and focus. They want to feel sharper and more “on the ball”…and maintain their brainpower and independence as they age. Why is you’re starting to “lose it” just went you’re entering your prime of life and possess decades of hard-won wisdom? It’s because your brain is gradually shrinking! And the older you get, the faster it shrinks. Research shows your brain shrinks by as much as 8.2% a year from age 45 through age 70. Even a normal, healthy brain shrinks by 3.8% a year on average during this timeframe. That may not seem like a lot, but add it up over a decade and you’re looking at losing at least a third or more of your brain! The more your brain shrinks, the more your memory declines! Just as your brain begins to shrink by 3.8% a year and as a much as 8.2% a year as you age, your memory starts to decline also. A study involving more than 7,000 people published in the British Medical Journal confirms it. Researchers found that mental function declines by an average of 3.6% a year starting in your mid-forties…and the decline speeds up to 8.5% a year on average once you hit your late 60s! Many people think this decline is simply due to brain cells dying off. But according to a top researcher whose work has been published by the National Academy of Sciences, very few brain cells are lost with age. What’s really happening is your brain goes into a state of atrophy as you get older. In other words, you don’t actually have fewer brain cells—but the brain cells you do have start to shrivel up. It’s as if your fresh, youthful brain starts out with nice, fresh grapes…and ends up with raisins! Over time this shriveling up effect causes your brain to shrink in size. And the brain cells most greatly affected are the ones that act like traffic controllers in your brain. These “traffic controller” brain cells are in charge of the flow of information within your brain. They also make important brain chemicals so your brain can function. Yet these crucial brain cells are the ones most likely to shrink and stop functioning as you age. But there’s a molecule in your body that’s capable of STOPPING this brain cell shrinkage…and restoring your brain to youthful vigor once more. It can plump up these shrunken, raisin-like brain cells…and quickly restore them to robust, highly-functioning “grapes”! This molecule is called nerve growth factor. And what it does is stimulate your brain cells to grow new tree-like branches. This makes it easier and more efficient for your brain cells to send and receive messages. That means everything in your brain works BETTER…your memory, thinking, focus, and ability to learn and recall new information. Shocking proof this discovery can make “withered” brains youthful again! Researchers first proved nerve growth factor could produce this incredible brain transformation in experiments with monkeys. The researchers, who were from the University of California at San Diego, looked at a group of monkeys whose average age was 23. That’s equivalent to humans in their late 60s to 70s. The researchers measured the monkeys’ brains at the beginning of the study. They found that 60% of the aged monkeys’ brain cells in the frontal cortex had shrunk in size by at least 10%. They couldn’t even detect the other 40% of these brain cells. But that wasn’t because these brain cells were dead, the researchers discovered. The cells were there…but they were significantly shriveled up and “withered”. Then something miraculous happened. By inserting nerve growth factor into the aged monkeys’ brains, the researchers were able to quickly revive these withered brain cells…and restore them nearly completely! ‘‘We restored the number of cells we could detect to about 92 percent of normal for a young monkey,’’ the lead researcher reported. It was as if the researchers were able to make these aged monkeys’ brains “young” again! Ever since two scientists won the Nobel Prize for the discovery of nerve growth factor, top doctors and researchers have searched for ways to put this breakthrough to work more easily and permanently in aging brains. New research shows this ancient Chinese medicinal plant can do the same thing as the nerve growth factor the scientists injected directly into the monkeys’ brains. It can actually plump up and restore aging brain cells. That’s because it’s able to rev up your brain’s production of nerve growth factor…and give you back your elephant-like memory and crystal-clear focus! Quickly replenishes the nerve growth factor that’s gone missing! This revered plant is a type of medicinal mushroom called Lion’s Mane. Its bearded cascade of long “spines” gives it the appearance of a lion’s mane, hence its name. In China, it’s said that Lion’s Mane gives you “nerves of steel and the memory of a lion.” And now scientists are starting to understand why. It’s because Lion’s Mane contains two potent nutrients that stimulate the production of nerve growth factor. These naturally-occurring nutrients are called hericenones and erinacines. Your body is able to put these powerful nutrients to work right away—giving you noticeable results quickly. That’s because unlike other naturally-occurring sources of nerve growth factor, these nutrients are able to pass through the blood-brain barrier. You see, nature provides us with many sources of nerve growth factor, but most of them cannot pass through the blood-brain barrier. But these two naturally-occurring nutrients possess a unique advantage: they can pass through this barrier and bring your brain cells back to life! Once inside your brain, these nutrients stimulate your body’s production of nerve growth factor and provide the raw materials needed. So they’re able to transform and revitalize the shrunken, withered brain cells and connections in your working memory and other key areas of your brain. Keeps your brain firing on all cylinders, so you can think clearly, remember easily, and learn quickly. 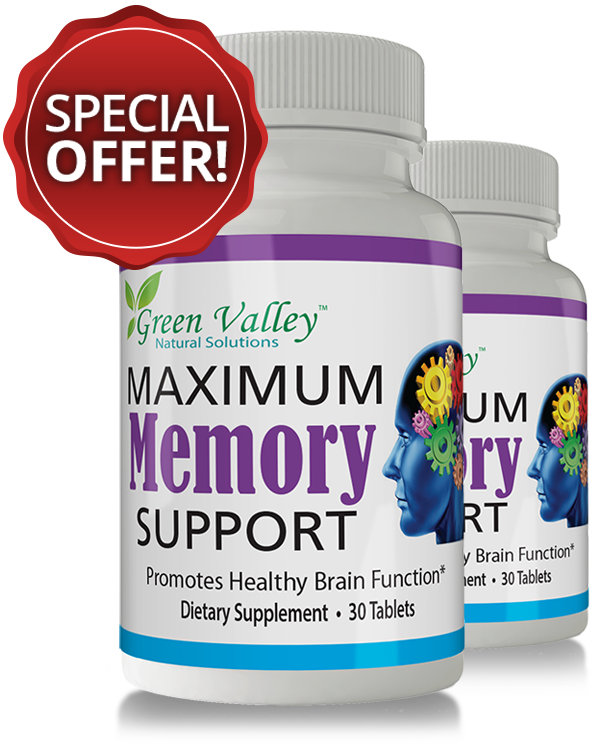 Dramatically enhances your memory and brainpower, so you experience fewer “senior moments” and feel more “on the ball”. Restores shrunken and poorly-functioning brain cells and connections and keeps them healthy, so you can stay mentally sharp and independent as you age. Promotes a feeling of calmness and well-being, and improves your mood. Studies suggest Lion’s Mane can ease anxiety and depression… which also makes it easier to concentrate. Repairs damaged nerves throughout your body. Just as Lion’s Mane repairs damaged brain cells and connections in your brain, it can do the same in other areas of your body. Supports improved digestive function, increases energy, promotes a healthy heart and blood pressure, boosts immune response, balances blood sugar levels, and much more! Studies prove Lion’s Mane can work miracles for your memory! While the science about Lion’s Mane is in its infancy, dozens of studies already point to incredible brain-protecting and memory-boosting effects of this ancient Chinese remedy. Just take a look at the results from one Japanese study. 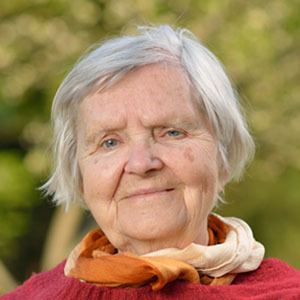 Researchers took a group of men and women between the ages of 50 and 80 with mild cognitive impairment. This means they suffered from problems with memory, language, thinking, and judgment that were greater than you might normally associate with aging. The researchers put all of the participants through a series of cognitive tests to evaluate their condition at the beginning of the study. They then gave everyone a tablet to take daily for 16 weeks. Half of them took a tablet containing dried Lion’s Mane extract, while the other half took a placebo. All of the participants were evaluated again after 8 weeks, 12 weeks, and 16 weeks. At each point in the study, the group taking the dried Lion’s Mane extract showed significantly better scores on cognitive function then the group taking the placebo. But when the participants were evaluated again after the study ended, those who stopped taking Lion’s Mane extract saw their cognitive scores decline. That’s more proof it was the Lion’s Mane that was boosting their memory and brainpower. Dramatic improvements seen even with severe memory loss! Another study on Lion’s Mane found that people suffering from severe memory loss experienced dramatic effects when given a dried extract of this medicinal mushroom in soup. After just six months of eating this soup every day, more than 85% of the patients improved their memory, comprehension, and communication skills. And all of them improved their ability to eat, walk, and dress independently! Research shows Lion’s Mane can even combat anxiety and depression. 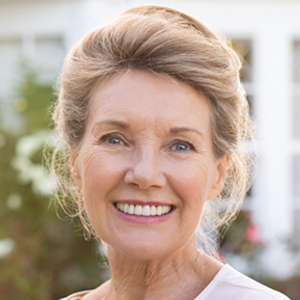 In one recent study, researchers took a group of post-menopausal women struggling with these issues. They gave half of the women a dried extract of Lion’s Mane each day and the other half a placebo. Four weeks later, the women were evaluated. Those taking Lion’s Mane dramatically reduced their depression and anxiety. What’s more, they found it easier to concentrate and think clearly! Why hasn’t this incredible brain breakthrough gone “mainstream” yet? When you think about how “hopeless” many cases of mental decline are… and how few treatments seem to be available… you might wonder why this breakthrough isn’t more widely known. That’s because Lion’s Mane comes from a natural source—medicinal mushrooms—and can’t be patented by Big Pharma and sold for huge profits. Yet it’s been a time-honored treatment in Chinese Medicine and a staple of the traditional Japanese diet for hundreds if not thousands of years. And with good reason. No other naturally-occurring compound has been found to stimulate nerve growth factor like the two you get in Lion’s Mane. And none is able to act as quickly and effectively, since both compounds are able to pass through the blood-brain barrier. Although it’s still not as widely-known, you can find Lion’s Mane extract in some supplements. However, it’s not always in the same high-quality form used in studies. And there are other nutrients you can take with Lion’s Mane to further enhance its effects and provide an all-around solution to protect and enhance your memory and brainpower as you age. This new breakthrough solution is called Maximum Memory Support. It’s now my #1 recommendation for anyone who wants to sharpen their memory and stay mentally sharp and independent as they age. Maximum Memory Support gives you a high-quality, full-spectrum extract of Lion’s Mane. That means it includes some of the actual fruit body of this medicinal mushroom, along with the dried extract standardized to a 14:1 ratio for maximum purity and potency. So you can see for yourself the same dramatic benefits I just told you about. Imagine waking up your shrunken, withered brain cells and connections and within weeks noticing you’re feeling sharper and more alert… remembering names and where you put your car keys more easily… and enjoying all of the head-to-toe support this time-honored Chinese remedy can bring you! I just explained how your brain cells and connections in the key area of your brain begin to shrink, causing your memory and mental function to decline. But there’s another problem that happens as you age that affects your brainpower. What is it? A build-up of toxins and other waste products in your brain. The ravages of free radicals over time—as well as chemicals, pesticides, heavy metals, and other environmental toxins—can take a huge toll on your memory and thinking. 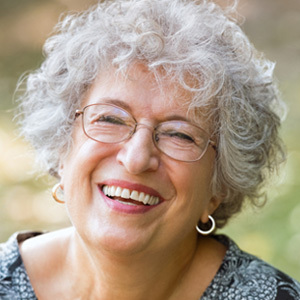 Scientists now link them to the “fuzzy” thinking and senior moments so many of us experience as we age. But the good news is, we now know how to clear away this toxic build-up in your brain. Even better, studies show this brain-boosting secret can actually make your mind work as if you were 12 years younger! This brain-boosting secret is a nutrient called phosphatidylserine, or PS for short. It’s a “good” brain fat that’s essential for maintaining healthy cell membranes. Cell membranes are important because they clear away waste products like free radicals and toxins. These waste products make your brain cells less efficient because they make it harder for messages to get sent from one cell to another. As you age, you’re saddled with more and more of this toxic build-up that slows down your brain. This is why you may often suffer from “brain fog” and forgetfulness. In order to think more clearly, you need PS more than ever before to keep your cell membranes healthy. Yet your body makes less of this brain-boosting compound as you age! That’s why Maximum Memory Support also includes PS… to give your cell membranes the greatest support possible. The healthier your cell membranes are, the better they can eliminate toxic invaders and improve cell-to-cell communication. It’s why taking PS can actually speed up your brain response time so you feel sharper and more focused! PS is one of the most thoroughly researched and proven nutrients in the whole science of brain health. At least 62 clinical trials and 2,800 research papers prove PS can dramatically enhance your memory, concentration, and attention span. What’s more, it works fast for almost everyone who tries it! One study at a top Israeli university found nearly 9 in 10 people with memory problems who took PS noticed a dramatic difference in just six weeks. That’s pretty impressive! Other research shows PS can produce a major improvement in as little as 3 weeks. 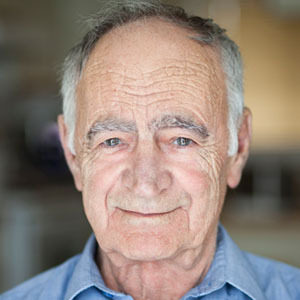 In one double-blind study, researchers looked at 72 older adults who were experiencing memory problems. They gave half of them PS and the other half a placebo. After just 3 weeks, those taking PS scored much higher in tests of memory and learning! Shaves 12 years off your “brain age”! 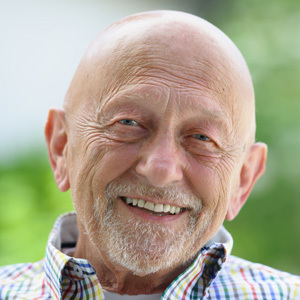 Even though the people taking PS had an average age of 64, their “brain age” tested at 52. This means taking PS made their brains work as if they were 12 years younger! Think what life would be like if your brain starting working again as if you were 12 years younger. No more forgetting people’s names or where you parked the car. No more frustrating, time-consuming searches for something you misplaced. And no more feeling left out of conversations because you can’t keep up. All of this—and more—is possible when you take Maximum Memory Support and give your brain the PS it needs for optimum function. In fact, no matter how bad your memory is now, Maximum Memory Support can help you improve it! Even studies on patients who’ve suffered serious mental decline show those taking PS enjoy better memory and mental function. As I’ve explained so far, restoring shrunken brain cells and clearing away toxins are both essential for preserving peak memory as you age. But another crucial step to keeping your brain “young” is something called neuroplasticity. Neuroplasticity has to do with the wiring of your brain. It’s the ability of your brain to constantly restructure itself by building new “highways and byways”. This makes it easier for brain cells to send and receive messages, improving your ability to learn and recall information. A healthy brain is constantly forming new synapses or connections… while adapting existing synapses to new circumstances you face daily. The more nimble your brain is at doing these things, the more neuroplastic it is, and the sharper your mental performance. Like everything as you age, your brain slows down, too. This makes it less able to form new synapses or adapt existing ones. But now researchers have unearthed a potent plant extract that makes your brain more neuroplastic, so it’s able to perform just as well as it did decades ago. This natural plant extract is Mulberry fruit extract, and it’s included in Maximum Memory Support. New research shows when this potent extract is taken orally, it helps remodel your brain to increase its neuroplasticity. Restructures your brain to make it “young” again! Studies show taking Mulberry increases the formation of synapses… makes brain cells work better… expands neural pathways so messages can be sent more efficiently… and boosts the production of acetylcholine, a crucial brain chemical needed for proper mental function. But here’s what’s really exciting about Mulberry. It works hand-in-hand with the Lion’s Mane extract you get in Maximum Memory Support to revive shrunken brain cells and connections… and boost and protect your brainpower. That’s because Mulberry helps increase the release of nerve growth factor once it’s produced. So it makes Lion’s Mane extract even more powerful and effective when taken together. This combination of Mulberry with Lion’s Mane and other nutrients is one of the key advantages of taking a carefully-formulated, synergistic formula like Maximum Memory Support. Not only do you get the most powerful, brain-boosting nutrients in the best forms and amounts, you get them combined in a way that gives you greater benefits faster! You deserve a total solution to keep your mind sharp and extend your independence and enjoyment of life as long as possible. And that’s exactly what Maximum Memory Support gives you. Vitamin B12: Many people over age 50 develop a vitamin B12 deficiency because they’re not able to absorb it well from their diets. But you need B12 so your brain cells can communicate. Without it, your brain can’t recall information or complete a thought. Folate (from folic acid): Research shows higher amounts of folate than most people get from their diets can dramatically improve memory and speed of thinking. One study found increased folate intake gave older adults memory scores comparable to people 5.5 years younger… and helped them perform on tests on cognitive speed as well as people 1.9 years younger! Bonus: When you take vitamin B12 and folate together like you do with Maximum Memory Support, you get even more benefits. 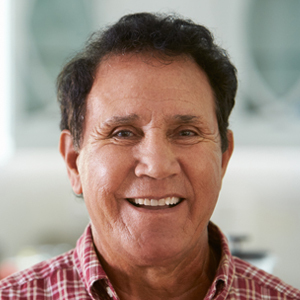 According to a study published in the American Journal of Clinical Nutrition, older adults who took these two nutrients enjoyed improved memory and cognitive function over a two-year period. And they continued to get better over time! 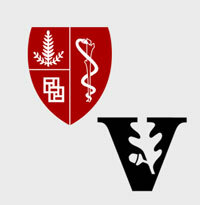 Vitamin B6—This important vitamin is needed for you to produce brain chemicals that let you concentrate and stay alert. Without it, you may notice feeling spacey and unfocused. Bonus: New research out of Oxford University shows something incredible happens when you combine vitamin B6 with vitamin B12 and folic acid—the same combination you get in Maximum Memory Support. This nutrient trio has been shown to reduce brain shrinkage by as much as 90%! Vitamin D—An estimated three-quarters of adults are deficient in vitamin D, the so-called “sunshine” vitamin. 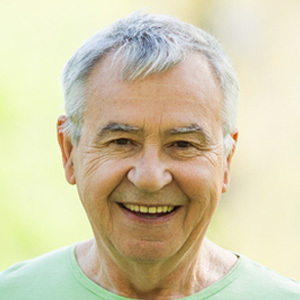 Older adults are even more likely to suffer from a deficiency. But vitamin D isn’t just needed for strong bones. It’s crucial for keeping your mind sharp, too. 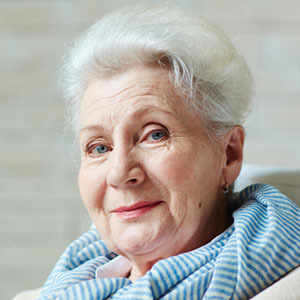 A recent study looked at more than 5,500 adults with an average age of 80. Those who had higher vitamin D levels were far less likely to suffer from cognitive impairment than those with lower levels. Thiamine—Also known as vitamin B1, thiamine is crucial for producing energy in your brain. Your brain uses glucose as energy fuel, but it can’t break it down and use it without enough thiamine. It’s also used to make important brain chemicals and to keep nerves healthy. Without enough thiamine, your brain not only slows down and gets sluggish, it can lead to nerve damage and death of brain cells. That’s why thiamine is crucial for keeping your brain “young”! 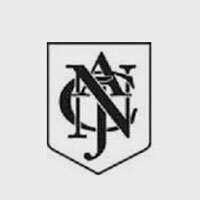 Immediate improvements in memory and focus! Put the power of 8 to work to keep your mind sharp for life! Think more clearly… You’ll find it easier to recall that word that’s on the “tip of your tongue” and avoid other mental glitches, letting your true hard-won wisdom shine through. Feel more alert… No more waiting hours for your brain to wake up or feeling like a “zombie”. Your mind will feel alive and energized all day long! Have less trouble remembering names or details… You’re able to avoid awkward moments because a name suddenly escapes you… you don’t forget what you meant to buy at the store or walked into a room to get… and you don’t have to put up with other embarrassing or frustrating occurrences. Recall new information more easily… You’ll find it easier to learn new things, and recall your newfound knowledge with ease—whether it’s remembering the name of someone you just met or how to perform a new task. Find it easier to focus… No more “fuzzy” thinking as you concentrate on work, reading, household tasks, keeping up with conversations, and more. You’ll feel sharper than ever! Feel more upbeat and less stressed. As your memory and thinking get better, you’ll also notice your outlook improves. You’ll feel more on top of things and less stressed, even when you’re juggling multiple tasks. Think how much better your day-to-day life will be when you’re able to enjoy these benefits. And you won’t have to wait long. Some people who’ve used Maximum Memory Support say they see many of these changes almost immediately! But while you’re noticing these dramatic improvements in your memory and brainpower, at the same time you’ll be supporting the long-term health of your brain. You’ll be taking steps to prevent, even reverse, brain shrinkage and atrophy… eliminate dangerous toxic invaders… and improve your brain’s neuroplasticity to keep it healthy and youthful. That means you can enjoy an active, fulfilling future and see your grandchildren get their diplomas… or walk down the wedding aisle. It means you can travel to those places still on your “bucket list”… or simply share a joke or a smile with someone you love. Most important of all, it means you can preserve your dignity and independence as you age. That’s why I want to make it as easy and affordable as possible for you to give your mind and memory the advanced, total support you need to stay sharp for decades to come. I’m so sure Maximum Memory Support will work for you, you can try it without risking one cent with this “no strings attached” offer. You may try Maximum Memory Support for 30 days risk-free. You pay nothing today except $9.95 for shipping and handling, and you’ll receive a 60-day supply of Maximum Memory Support. Now here’s where it gets really good. Take Maximum Memory Support and in a couple of weeks you’ll feel mentally sharper than you’ve felt in years. Keep taking it, and within 30 days, don’t be surprised if your brain is as sharp as it ever was! Bottom line: If you’re not thrilled with the improvement you feel by day 30, just call or email us, and your card will never be charged another cent. If we don’t hear from you, we’ll go ahead and charge your card in 30 days. And there’s more: Even after 30 days, you can return any unused bottles anytime and receive a full refund, no questions asked. This is a 100% ironclad guarantee, one that’s completely risk-free. Two bottles, risk-free! 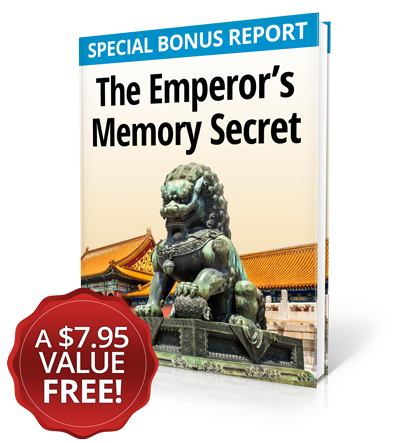 FREE Bonus Report #1: The Emperor’s Memory Secret–a $7.95 value, yours FREE! 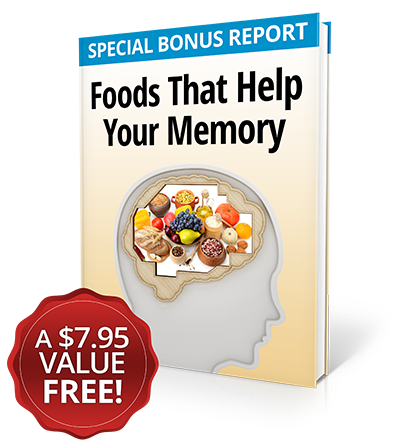 FREE Bonus Report #2: Foods That Help Your Memory… Foods That Hurt Your Memory–a $7.95 value, yours FREE! 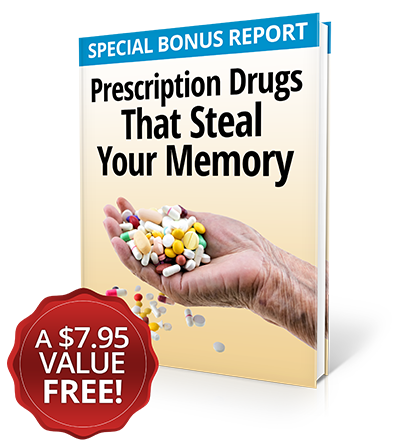 FREE Bonus Report #3: Prescription Drugs That Steal Your Memory–a $7.95 value, yours FREE! Why am I making such a ridiculously generous offer? Because I feel so strongly Maximum Memory Support can make such a dramatic difference in your memory and brainpower, I want you to try it yourself at no risk. You pay only shipping and handling today. I make no money on these costs—they barely cover what it costs me. If you aren’t completely thrilled with your results… if you aren’t feeling sharper, more focused, and more “on the ball”… just call or email us within 30 days and you won’t be charged another penny. It’s that easy! So click here to go to the secure checkout page and claim your risk-free trial of Maximum Memory Support now. You’ll be glad you did! P.S. 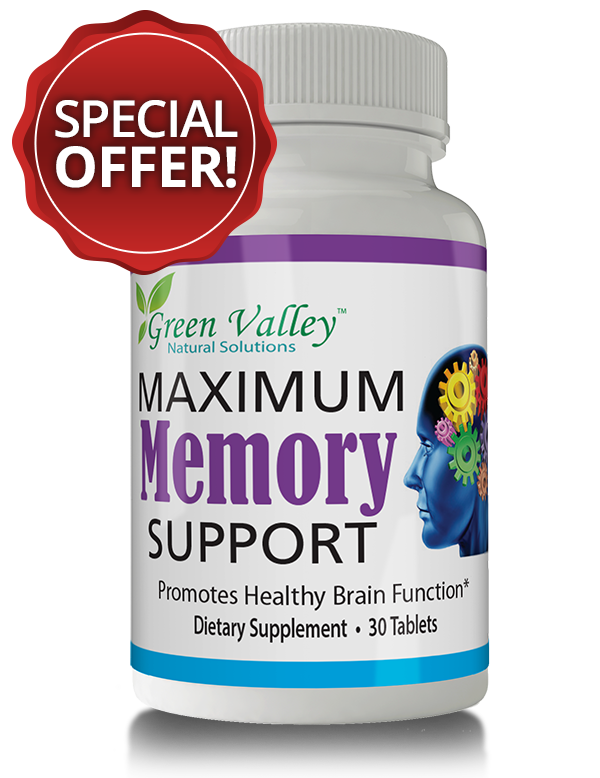 Maximum Memory Support is the only supplement I know that’s designed to maximize the production of brain-restoring nerve growth factor and keep your mind “young” as you age. It’s the best way to enjoy a sharper memory, improved focus, greater recall, and enhanced mood… and stay sharp and independent for life. If you were to try to find the exact forms and potencies of the 8 brain-boosting ingredients you get in Maximum Memory Support on your own, you’d likely end up spending $150 or even more. But right now you can get a two-month supply, pay nothing today except $9.95 shipping and handling—and put it to the test for a full 30 days without risking a penny. Simply click here now to take advantage of this exclusive, no-risk trial offer. You’ve got nothing to lose, and so much to gain! You’ll also get 3 FREE gifts! A $23.85 value… yours FREE to keep forever! Live a long, healthy life! This female scientist who helped discover nerve growth factor—and was awarded the Nobel Prize—lived to the ripe old age of 103! Here’s the unusual way she used this breakthrough each day. Keep your memory sharp as a tack! Why the two potent compounds found in Lion’s Mane are so good at stimulating nerve growth factor when other similar compounds fail. This one special thing is why it’s able to give you such dramatic, brain-boosting benefits! Enjoy positive “side” benefits! How taking Lion’s Mane can also help you sleep better, banish stress and anxiety, maintain an upbeat mood, ease menopause symptoms, and more! Fats that hurt, fats that heal. You probably already know many saturated fats are bad for your heart—but they damage your brain, too. Meanwhile, these two satisfying fats that taste like you’re “cheating” are good for you—and make your brain work faster and more efficiently! Delicious defense against brain-ravaging disease. Scientists say a natural compound found in olive oil can fend off nerve damage. Also removes amyloid plaques linked to mental decline. But you have to consume this type of olive oil. The one food you should NEVER eat if you want to preserve brain function. It’s the ultimate brain-killer… and one of the most widely-consumed foods in the world! Best diet for preserving your memory and brainpower. A Columbia University study on more than 1,400 older adults shows eating like this slashes your risk of serious mental decline by 28%! 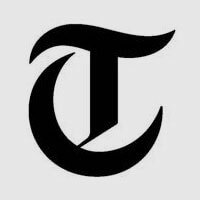 Why the elderly are particularly vulnerable to drug side effects… and may experience them more severely than younger people! How where you live can raise your risk of a memory-destroying drug side effect. People in these regions of the country are up to 20% more likely to be prescribed these dangerous medications! Based on Brown University study of 6 million Medicare recipients. The startling effect that taking multiple drugs has on your body—and how it may be contributing to your apparent mental decline. This is essential reading for anyone taking three or more prescription drugs! I want you to see for yourself the incredible life-changing benefits Maximum Memory Support™ can bring you. That’s why I’m willing to ship you two bottles entirely at my risk. You pay nothing today except $9.95 shipping and handling. If you’re not happy with Maxiumum Memory Support™ for any reason, just let us know within 30 days and you won’t be charged another cent. Even after your 30-day trial period, your 100% satisfaction is guaranteed. You can return all unopened bottles at any time and receive a full refund of every penny you paid—no questions asked. You risk nothing by giving Maximum Memory Support™ a chance to work for you! These Maximum Memory Support users are thrilled with their improved memory and focus… and you will be, too! Giving me a definite advantage! The statements in this web page have not been evaluated by the Food and Drug Administration. This product is not intended to treat, diagnose, cure or prevent any disease.